FIRST Robotics is a mentor-based program that inspires young students to gain engineering and technology skills. 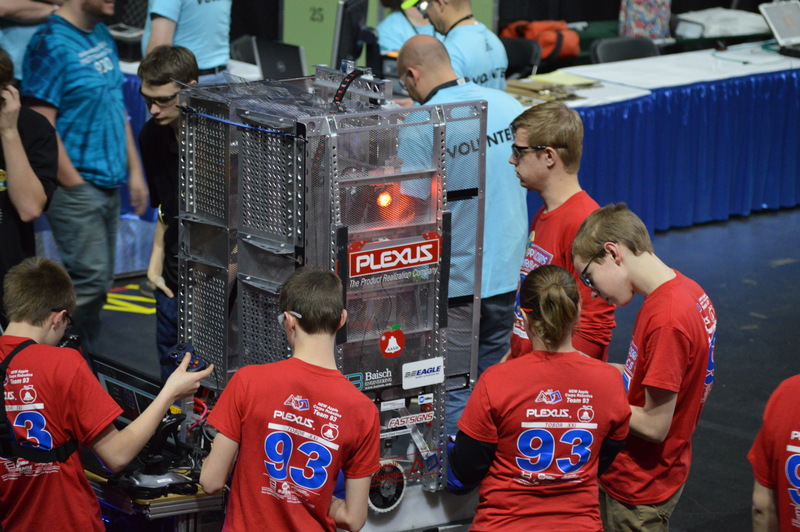 For more than 20 years, Plexus has sponsored the FIRST Robotics competition team, Team 93: Apple Corps, based in Appleton, Wisconsin. Every year, Team 93 puts their skills to the test to design, build and program a robot to complete a new challenge. 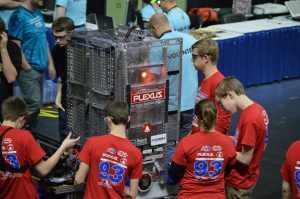 This past season, Plexus had several volunteers from Wisconsin dedicate their personal time to help these students successfully build their robots!